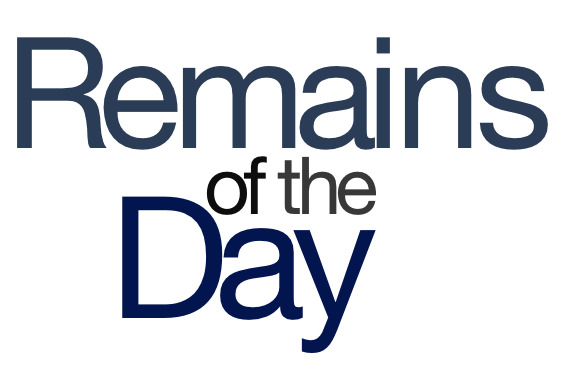 Remains of the Day: What about Bob? What’s going on with Apple’s Bob Mansfield? Will the new iPhone know you—I mean, really know you? And when is it okay for Apple to search its employees’ belongings? These questions and more answered in the remainders for Monday, July 29, 2013. Relax, folks. Big Bob Mansfield may no longer be listed as part of Apple’s executive team, but the former senior vice president of hardware engineering isn’t going anywhere—he’s just heading up special projects for the company. “How special?” you ask. Very special episode of Blossom special. That’s how special, my friends. Ah, the things we “learn” when we dig into beta code. The latest unearthing suggests that a forthcoming iPhone might feature a fingerprint sensor built into the Home button. Also, when you put your finger on the Sleep/Wake button, it takes a blood sample and tells you your fortune. In the “weird news from overseas” department, it seems scalpers in China are reserving all the Genius Bar appointments at Apple Stores and then selling them online for a profit. Oh man—I remember when this kind of innovation used to come from right here in America! Former Apple Store employees in New York and L.A. have filed a class action suit alleging that Apple underpaid them by searching their bags and personal belongings while they weren’t on the clock. Hey, if the TSA paid me while they went through my stuff, I think I’d be way cooler with it.